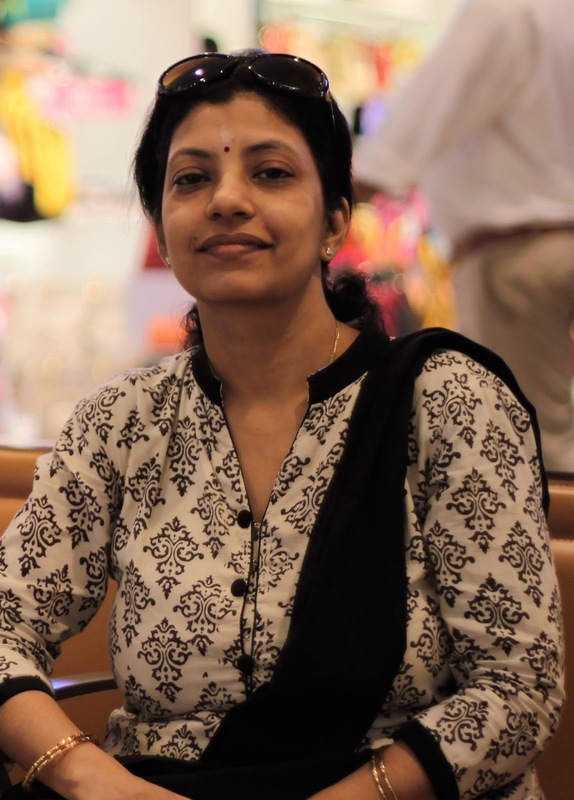 Bharathi Shiva is a 43 year old social worker who is suffering from Interstitial Cystitis since 1992. She is associated with Centre for Vocational Training for Special Needs Adults. Her 18 year old son is autistic and she is working with other parents of autistic kids to set up a sheltered employment set up for Adults with Autism. She has masters in Social Work. She has worked with NGO's and organisations in Mumbai, like YUVA and TISS. She lives with her two sons and husband in Mumbai. Her husband is in the shipping industry. 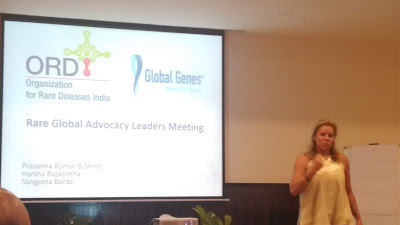 Today she talks about her IC journey since 1992 and how she feels empowered now after finding this support group. I did not have any urinary problems at all as a child. My mother used to tell me I was toilet trained by age two. No bed wetting issues. Growing up, I was actually blessed because I did not have the inconvenience of wanting to go the bathroom often. It was the other way around. I had to remind myself to go. Till 17 years, I would go to the toilet only 3 times a day. On waking up, when I got back from school around 4 pm and night before sleeping. I would be in school or outside the whole day without going to the loo. I had no problems on that front. But overnight all that changed. It was Nov 1992. I was 17 years old. I remember very clearly, one day feeling a pain in my bladder and feeling of heaviness and fullness. It would go away if I urinate. But sometimes the ache would return almost immediately. This was the beginning of my long battle with IC. I used to have constant bladder pain relieved by Urination. On many days the pain would start immediately again even after passing urine. My bladder felt like a balloon filled with water beyond capacity yet getting filled up more, such was the pain and pressure. And if I did not use the toilet to empty, the pain would turn into a burning pain. I just could not understand what was going on. I went to several doctors, did various tests. Sugar, urine culture, kidneys, X-ray with a special dye, everything showed normal. But my life was thrown off balance and I was only 17. Doctors started telling me it was psychological. They told me to train my bladder etc. But none of that would work. Today I understand that training the bladder doesn’t work with pain. It can probably work with frequency or urgency. How do I train my bladder not to be in pain?? If I knew that I would be celebrating like I won the lottery! Anyways back to 1992-1993. It was established that there was nothing medically wrong with me. I felt all alone. Nobody seemed to understand what was going on with me including myself. My parents were relieved that it was not a major illness. They said at least the reports are normal. Doctors told me to take it easy. But my life was hell. Not just the physical pain but the emotional pain was even more. Firstly it was highly embarrassing. At 17-18, the last thing you want talk about is the toilet. It was just so unattractive. I hid it from my friends. I did not want them to know or find out. I would wait till no one was around in college to use the toilet. I did not want anyone see me go to the toilet. That age is such. You don't want anyone to know there is something wrong with your body. So outwardly I would to lead a normal life masking my pain. I would, laugh, act normal, go out etc, but all the time bearing the pain and of course disturbed sleep. The first year and a half were the worst. Then by the third year the intensity lessened. There used be days when I would feel pain, go to the toilet to get relief, find no relief, go to the toilet again and yet no relief. Like in an hour I would be up every 5 minutes running to the toilet in a desperate attempt to lessen the pain. Then it would naturally subside after a day or two. Other days too pain would be there but it would give me relief or I would be pain free for about an hour or even two. Then again the pain would start and I would empty my bladder and be pain free for another hour or you. Then in 1996, after 4 years my condition improved tremendously. It seemed the worst was behind me. While it never went back to being what it was till I was 17, it was at least manageable. On good days I would be able to have 4 hours without pain. But nights were always worse than mornings (even now). That’s because when it’s time to rest we have to get up often. So while after four years it subsided, for two years, it did come back again. It would fluctuate between good days, terrible days, bad days, ok days. Yet nobody could tell me what’s wrong with me. I tried Ayurveda, homeopathy. No luck. Life went on. Got married, had kids. Pregnancy did not increase or decrease my condition. All this while nobody knew what was going on with me. Because even I did not know what it was. What do I tell others? Outwardly I was leading a normal life. Pain, going to the toilet to relieve it became a part of my everyday life. It was good as long as I had access to toilets. It was annoying but at least I could get immediate relief. But while travelling, long distance bus or car travel, even watching movies on theatres, many a times i would be in pain for long hours. One thing I kept doing in between all this was that I never stopped trying to find out what my condition was. 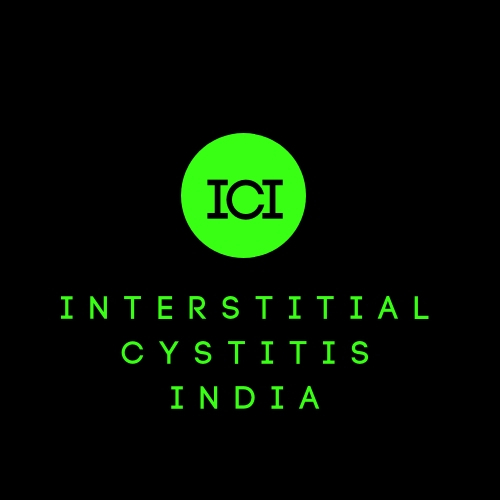 Then in the year 2011, while I was Googling again I found the term Interstitial Cystitis. Hurray, I shouted finally!!!! My condition has a name! It was a euphoric moment. Only to end in DEEP DISAPPOINTMENT- No cure. I remember crying bitterly that night and getting so depressed. But internet was my saviour. Slowly I found a few others with similar conditions, all outside India. I got in touch with them. Read their blogs. Then with FB and Twitter I joined IC groups and followed them on Twitter. Once I knew I had IC I also went to Urologists in Singapore. The first time I went the doctor looked at me and said you can’t have IC. If you had you wouldn’t be able to sit and talk. For one month he treated me for overactive bladder. Then he said yes looks like you have IC. But the diagnosis did not translate to cure. Life with pain continued like before. I used to think I was the only Indian with IC. None of the groups I was in had Indians. They were either US or Europe based. Then in Nov 2017 I stumbled upon IC India Forum. It was truly a jaw dropping moment. I couldn’t believe my eyes. From then on I have come a long way. With the forum I see more and more Indians facing the same issues. Now I feel connected and relieved. I have found a new family. Finally there are people who understand what we are saying. Believe us and support us with compassion. We have faced so much flak from doctors. Many don’t take us seriously. They cut us off. They are condescending. They dismiss us. So this support group is very empowering.